So, I've been thinking of Kindness. I'll be reading Wonder soon and I've been looking for more picture books to support the theme. 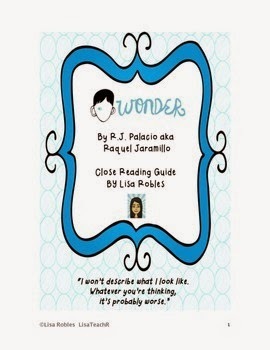 Wonder is by RJ Palacio. It's a wonderful book chronicling Auggie's, a young boy born with a facial deformity, journey through school and the adjustments he, his family and his classmates have to make. I love it because it touches on so many important themes for our upper graders. It's also told from the point of view of different characters which is a great teaching point. I read this every year as in Interactive read aloud and a tool for close reading. I made a close reading guide to help during language arts. 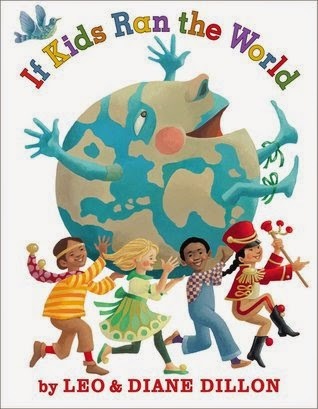 If Kids Ran the World by Leo and Diane Dillon has a great message about sharing and ultimately, Kindness. It discusses how they would grow food and feed everyone. I love the beautiful, colorful pictures. It is a very multi-cultural book with drawings of kids from all over the world. 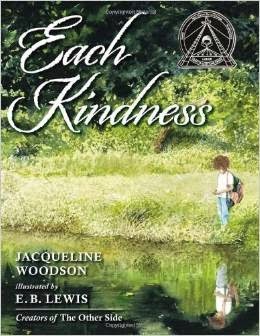 The last book that I love is Each Kindness by Jacqueline Woodsen. It's about a young girl named Maya who is new to Chloe's school. She is wearing second hand clothes and her show strap is broken. Chloe and her friends decide she is not worthy to hang out with them. They ignore her, refuse to play with her and make a not nice nickname for her. Then one day, she doesn't show up. The teacher has a lesson on kindness and how a small act can be powerful. Chloe realizes how wrong she was and has no way to make it up. The kids were dissatisfied with the ending but I liked it. It's the way life is, right? Sometimes, you can't make it up. Hope you enjoyed my book picks this week!